Who was the real winner in the recent Israeli elections? The answer: the 2014 electoral law. It requires a list to garner at least 3.25 % of the vote to get seats at the Knesseth. In 2015, the first time it was in force, it helped both Prime Minister Netanyahu’s conservative Likud party and Yitzhak Herzog’s liberal Zionist Union to emerge as the country’s main political forces, with 30 and 24 seats respectively out of 120 — against eight smaller parties, Right and Left, who got from 5 to 13 seats each. This time, it was even more effective, providing 36 seats to Likud and 35 seats to the Blue-White Coalition, the indirect heir to ZU, and leaving less than one half of Israel’s parliament, the Knesset, to nine lesser lists. In other words, the 2014 law is turning proportional representation into something closer to a bipartisan system. Quite an achievement. Pundits like to argue about the comparative theoretical merits of the majority system, a feature most famously of America, and proportional representation. More often than not, however, countries just pick up an electoral system for practical reasons. In its early stages, Israel had simply no choice. As the only country in the world with a majority or a plurality of immigrants, i. e. voluntary or optional citizens, it had to provide all of them a sense of belonging by taking their individual expectations or dreams as seriously as possible ; and this could be achieved only by full, nationwide, proportional representation. At later stages, immigrants solidified into rival self-perpetuating subcultures, which tended to coincide with class and to lay claim to specific geographic areas: affluent, Ashkenazi, liberal Tel-Aviv against the struggling, Sefardi, conservative peripheral cities; ultra-Orthodox enclaves in Bnei Brak or North Jerusalem. Here again, or in the special case of the Arab minorities, proportional representation was seen as a necessity. The other side of the coin was that there were too many competing parties. Until 1977, it did not matter much, since socialist coalitions centered on David Ben Gourion’s social-democratic party, known as Mapai, managed to retain a clear majority. So Israel combined a genuine democracy with some trappings of the one party rule, just like many other nations at the time : Italy under the Christian-Democrats, Japan under the Liberal-Democrats, India under Congress, France under the Gaullists. In 1977, for the first time since independence, the socialists, now unified as Israel’s Labor Party (Avoda), lost to Menachem Begin’s conservatives, revamped as the National-Liberal Rally (Likud). What ensued was neither the advent of a new, rightwing, hegemonic coalition, nor a transition to bipartisan alternation, but rather a chaotic situation where the diminished main parties were held captive by a mishmash of very small parties, and where many small parties had only a meteoric, one-term, existence. Israel was deemed to be so unstable as to be ungovernable. On two occasions, the only way out was a Labor-Likud National Unity administration, complete with a rotating premiership. In 1992, there was a serious, if bizarre, attempt to fix the whole thing. While proportional representation was retained as far as the Knesset was concerned, the prime minister was not to be selected any more in the Westminsterian way, as the leader of the parliament’s majority, but rather elected directly by the nation. This arrangement was used on three successive ballots. In 1996, it narrowly worked to the advantage of the conservative candidate, Mr. Nethanyahu, who received 50.5 % of the popular vote. In 1999, it benefited Ehud Barak, Labor’s candidate, who won 56%. Finally, in 2001, when a hapless Prime Minister Barak, unable to defeat the Second Intifada, resigned the premiership, the conservative candidate Ariel Sharon was, by 62% of the vote, elected to replace him. By that time, everybody had realized that the new law did not ensure more stability, as expected; and that, on the contrary, it had the unintended consequence of allowing an Arab minority dominated by anti-Zionist extremists to arbiter Israeli politics. It was thus abrogated overnight, almost without a debate. Disposing of a failed reform doesn’t mean, however, that the problem the reform was supposed to address is solved. A belated effort by Sharon, in 2005, to launch a new hegemonic party, Kadima, drawing both from the Right and the Left, misfired when he suffered a stroke in Januray 2006 and fell into an irreversible coma. While Kadima won 22 % of the vote in the March 2006 election, it lost most of its appeal after the poorly managed July-August Second Lebanon War. A conservative coalition led by Netanyahu’s Likud won the 2009 election. It was able to stay in power to this day, largely thanks the prime minister’s personal achievements in economic and diplomatic matters. Still, Israeli democracy looked shaky – until the 2014 electoral law reform. A 3.25 % threshold may look like a small affair, but it is enough to make citizens think twice: a vote for the small party one favors may be a wasted vote; on the contrary, a vote for a larger party will always be effective. In the 2015 election, voters were not used yet to the new system. The 2019 election, they fully grasped its implications. This is how Likud and Blue White emerged as superparties. 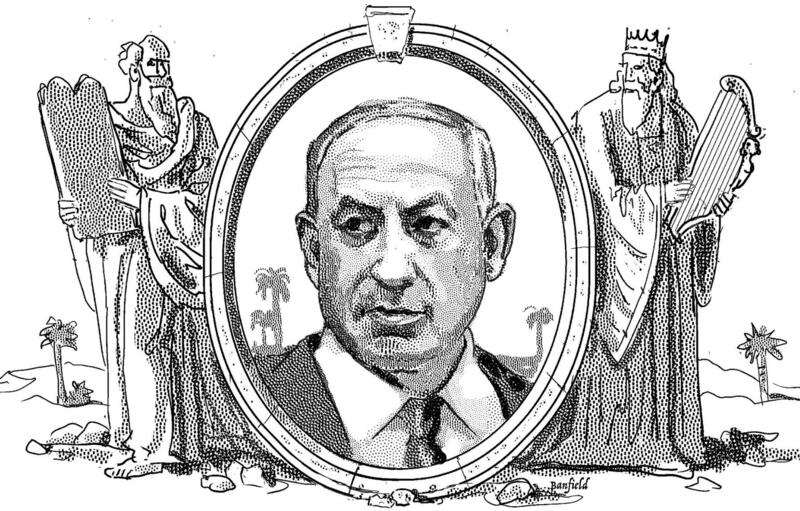 The unfortunate case of the New Right, the nationalist-conservative party launched in December 2018 by two leading figures in the outgoing Netanyahu cabinet, Education Minister Neftali Bennet and Justice Minister Ayelet Shaked, is significant in this respect. It was initially supposed to win between 10 and 14 seats in the coming Knesset. In the event, it fell short of the required threshold by a miniscule margin, and was wiped off the map. As Mrs. Shaked observed on Election Day, “Likud is syphoning us”: most New Right supporters rationally, if not wholeheartedly, decided to switch to the larger conservative party in order to ensure a global victory of the Right. Likewise, the Blue-White Coalition, which was initially portrayed as a solidly Centrist or even Right-of-Centre party, quickly turned to the Left to gain momentum and cannibalized the Labor Party (as well as some Far Left elements) in the process. Modified proportional representation, however, is still proportional representation: it is unlikely for any party to win an absolute majority at the Knesset, and likely for middle-sized parties rooted in specific subcultures to go on playing an important role in the coalition building process. For the time being, this is definitely turning to the Right’s advantage, since Likud can rely on five more parties totalling 29 seats, while BW can only bargain with four parties totalling 20 seats, including two anti-Zionist Arab parties. bipartisan ? l’émiettement des votes sur des listes de carriéristes ne le justifie pas? Your article and analysis are interesting. The electoral system is still not perfect. If for instance, G.d forbids, the leader of any of those two major parties happened to be dragged into a big scandal half way in the elections process, he or she will drag the entire list to the bottom and risk to be relegated really to a marginal political party. The risk is huge so it is therefore extremely important that the chosen leader of those 2 parties, or any party, will be an honest and potentially scandal free chief …In the United States, or France, the candidate to the Presidency can get defeated but not necessarily his party for winning seats at the Congress or Parliament..